The Miami Slip and Fall Lawyers in Westchester at the Wolfson Law Firm have represented injured people for over 60 years. Our personal injury attorneys have represented individuals who were injured in trip and falls, slip and falls, and all forms of premise liability including negligent security cases. Over the years, many Wolfson Law Firm personal injury clients lived in Westchester or were injured in that same neighborhood. 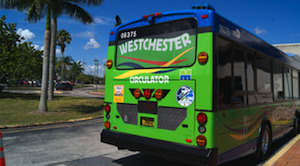 Westchester is in the SW section of Miami-Dade County. It is predominately Hispanic. It is located south of Calle Ocho (SW 8th Street); East of SW 97th Avenue; West of the Palmetto (State Road 826) and north of Bird Road (SW 40th Street). The zip codes for Westchester are 33155 and 33155. The famous Tropical Park is adjacent to Westchester on the south side at 7900 SW 40th Street, Miami, Florida. It enjoys 1,500,000 visitors every year. Tropical Park was developed in 1979 at the location of a horse track. The park is well known for its equestrian activities and community service. Every Christmas, Tropical Park is transformed in Santa’s Enchanted Forest. People travel from all over South Florida as well as internationally to see and enjoy the annual Christmas production. Tropical Park also offers activities such as Baseball, Corporate Team Building, Basketball, Fishing, Soccer, Racquetball, Track and Field, Tennis, and Softball. Tropical Park amenities include an Exercise Course, Baseball Fields, Equestrian Center, Racquetball Court, Basketball Courts, Nature Trails, Playground, Picnic Shelter/Pavillion, Softball Field, Batting cage(s), Soccer field, Track and Field, Tennis Court, and a Dog-Friendly Park. Property owners are expected to keep their grounds safe for guests and visitors. This applies to public and private owners equally. For example if you were injured in a park because of a dangerous condition and that park was owned by the county or the state, you may be entitled to compensation for your injuries. Dangerous conditions could include wet floors, debris or garbage on a floor, poorly maintained fields, holes that should have been filled in, or a failure to warn of a hazardous condition like broken glass or metal pipes. The ways you could be injured might include a slip and fall, a trip and fall, or direct impact with a dangerous condition. In the case of a publicly owned property, it is important to know the law. Your Westchester Slip and Fall Attorney would know that a proper investigation must be performed. The lawyer would also know to place the responsible governmental agency on notice. This notice is required by law and gives the city, county or state agency six (6) months to investigate your claim. If you file suit before the 6 months has expired your personal injury lawsuit would likely be dismissed by the court. If the property owner is a private person, company or corporation than you do not need to wait 6 months to file a lawsuit. However the Slip and Fall Lawyers serving Westchester will always fully investigate the facts surrounding your slip or trip and fall. 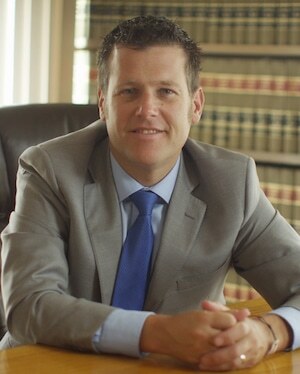 The Wolfson Law Firm only represents injured people who have valid cases. When we complete our investigation and make a determination of who is responsible, then we pursue that person or company to get you the full compensation allowed under the law. If you or a family member was injured due to the negligence of a property owner, you should contact the Westchester Slip and Fall Lawyers at the Wolfson Law Firm today. Jonah Wolfson and his team are bilingual and can help. All you have to do is call us today at (305)285-1115. The Wolfson Law Firm represents personal injury clients in Fountainbleau, South Miami, Olympia Heights, Blue Lagoon, West Miami and communities all throughout South Florida.